We’re a little late in this review, and I considered not doing it at all. 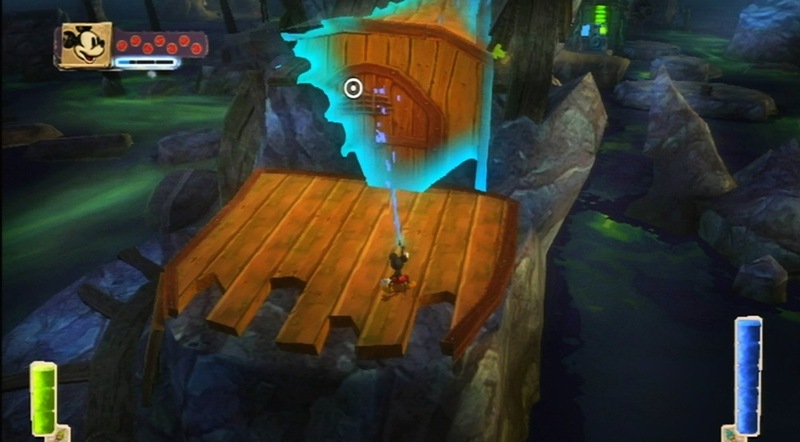 Epic Mickey is a unique title that, for all of it’s ambitions, does little to impress me. 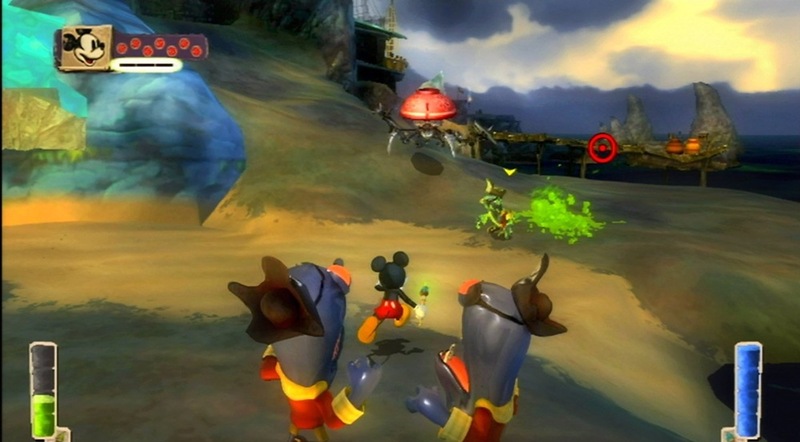 It’s been quite some time since some game really rubbed me the wrong way the way Epic Mickey does. The game’s not broken, per say, but it’s just such a poorly executed design that I can’t recommend it to anyone. There’s a good concept here, with Mickey essentially entering a world a lost cartoons, interacting with Disney characters from the past. The story isn’t light-hearted, candy-colored children’s fare, which is a good thing to me. I was afraid it was going to be a kiddie game so the darker tone was a plus to me. It’s too bad the rest of the game can’t hold up it’s end of the bargain. The controls, for one thing, aren’t up to snuff. Waving Mickey’s magic paintbrush to paint the world isn’t real intuitive. Using it under any kind of pressure is a hassle and a headache. This is greatly compounded in combat. When Mickey starts shooting his magical paint or pain thinner he locks a direction and strafes which makes fighting more then one enemy unnecessarily hard. If you could just spray freely the combat would be worlds better. The platforming elements are better, but not by too awful much. I’ve not fallen off objects in a 3D-platformer since I don’t know when. 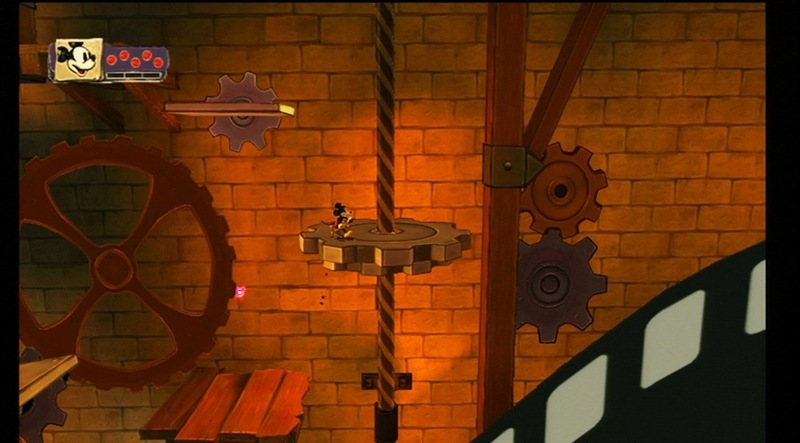 I’m usually not bad at this kind of game but I felt a disconnect between my input and Mickey’s actions that resulted in a large amount of frustration from having to repeat segments over and over. To reiterate, this isn’t a bad game, it’s not a broken game, and it’s going to get a cult following. It just strikes me as a good idea marred by bad execution. I’d be interested in a sequel, but only if they fix the combat and controls.